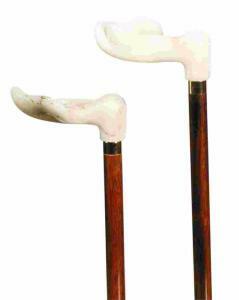 A functional but attractive cane, suitable for everyday support. The acrylic, marbled-effect orthopaedic handle is available to fit the left or right hand. The handle is suitable for those who cannot grasp a traditional crook or derby handle, and spreads the user's weight across the palm of the hand. 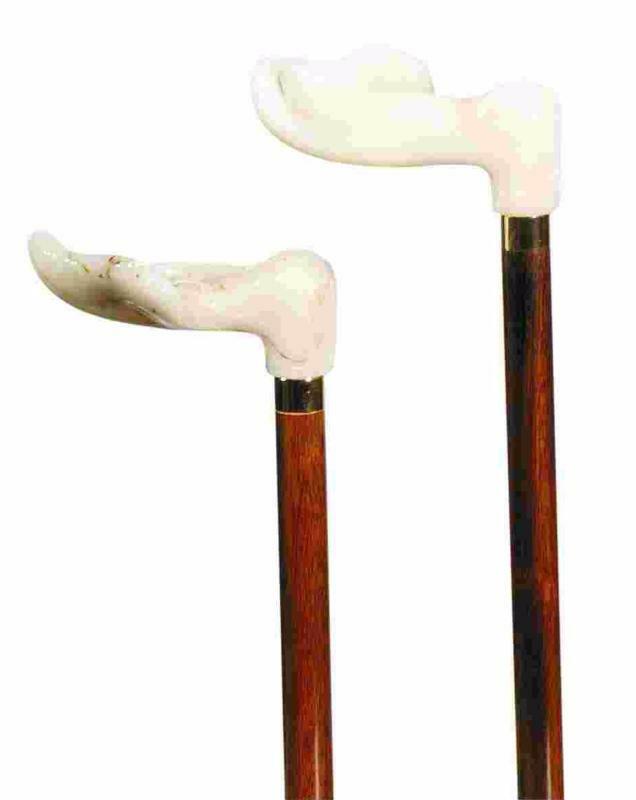 These canes are often bought in pairs.